Some Context: Tommy Tiernan is one of Ireland’s most highly awarded standup comedians, winning international awards every 2 or 3 years since 1996. He’s still a huge mainstream act. I was amazed by the common ideas of his opening bit of his 2008 world tour, Something Mental, and Hyde’s 1892 essay, The Necessity of De-Anglicizing Ireland. Tiernan: If the link doesn’t work try: Tiernan and Hyde , start 2:30 end 4:15. When I read Hyde’s I immediately thought of Tiernan. I am amazed by how closely these writers are related ideologically despite the 120 years that separate them. Tiernan’s free and spontaneous style puts off how deeply rooted his material is in hotly political long-standing conversations about Irish national identity. Tiernan says “the Irish soul is a much more fluid thing than [the English language],” which he ultimately cites as the reason for his severe words. He says, with mighty leaps and wild gesticulating, as if to make up for the handicaps of English to communicate his energy, that only the most intense English curses can stimulate the human core in a way that Gaelic does, to make a profound spiritual connection with the audience that “rises up mightily into the stars.” And he premises this by saying he should be speaking Gaelic, even though he doesn’t know it at all. This idea of “should be speaking” as the best way of giving voice to “the Irish soul” echoes Hyde’s idea that Irish people, being of the Celtic race, have a relationship to Gaelic and should speak it even if they don’t understand a word of it, and should reject the English language as an encroachment upon the soul of their race. In his words, “in all its nakedness Irish sentimentality becomes suddenly a power that refuses to surrender its birthright…” In his conversational, infinitely charming though obtrusively vulgar way, Tiernan echoes Hyde’s central idea: that there is an Irish essence, a “Celtic soul,” and that the Irish essence cannot be expressed or linguistically fulfilled by the English language. When I saw dates like 1840 and 1790 on the papers we read on Irish national identity, I thought the current Irish cultural attitude toward these issues must be different from back then, and that we are only reading such papers for their relevance to Yeats and his own political context. The implications of this idea, the “language that should be spoken,” are of course completely different for the literary scholar of 1892 and the comedian of 2008, where one cites it as grounds for large-scale political reform and the other uses it as a premise to a standup show. However, what strikes me is how prolific this idea of an Irish “connection” to Gaelic is, and how it still sells, even as the opening segment of a world comedy tour, as it did as a springboard for political reform. Within Yeats poem “The Lover tells of the Rose in his Heart” , the speaker presents two distinct visions of Ireland in images meant to evoke a modern, Anglicized nation in contrast to and lacking the essence of the true Ireland found in the natural, eternal world. The modern nation is presented in specific, short images of “The cry of a child by the roadway, the creak of a lumbering cart, The heavy steps of the ploughman, splashing the wintry mould”(2-4). These images present disjointed elements of the natural world, a child and the winter ground, reacting violently with a cry and splash in response to modern presences such as a roadway or the steps of a laboring ploughman. The structural form of the poem creates division and isolation within these images to parallel the fragmenting power of modern, regimented existence. This is in contrast to the easy flow of the speakers description of the true, essential Ireland expressed when he states “I hunger to build them anew and sit on a green knoll apart, With the earth and the sky and the water, re-made, like a casket of gold”(10-13). The speaker hungers, a base instinct of desire that ascribes to Irish sentimentalism, to construct the physical formation of a green knoll out of the “the wrong of unshapely things”(8) or the immaterial constructions that taint the image of Ireland in attempts to assimilate its essence to an English pragmatism. The images here present an interconnected union between nature and the speaker. The structure of this section also fragments segments of verse yet the emphasis of the natural Irish essence, “a casket of gold” is more rewarding than the “cart” or “mould” of modern Ireland. Please comment if you see any other structural devices or images that support or challenge my interpretation! An Illustration from Robert Fludd’s Utriusque Cosmi. 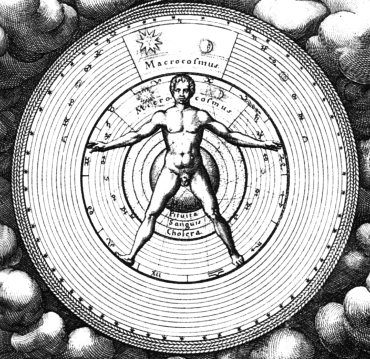 The influence of the sun and moon are apparent in the physician’s investigation of the cosmological influence on the human body and soul. Abundant images of the Sun and Moon in his poetry reflect Yeats’ role as a mystic and astrologer, while pointing to a more complex interpretation of the role Celtic Astrology plays in Yeats’ juxtaposition of cosmological meaning and Irish nationalism. In his poem “The Man who dreamed of Faeryland”, Yeats conjures a whimsical portrayal of the Irish essence, suggesting that there is an intrinsic Celtic nature in the modern Irish man by underlining it with descriptions of “a gay, exulting, gentle race / under the golden or the silver skies” (20-21). In line 23 of the same poem as well as in the last two lines of “The Song of Wandering Aengus” the sun and moon indicate Yeats desire to draw from their astrological significance and underpin his belief that human beings are born with an essence that is proven in the stars. Searching for this ancient, true, Ireland, Yeats’ speaker in “The Song of Wandering Aengus” vows to “walk among long dappled grass, / And pluck till time and times are done / The silver apples of the moon, / The golden apples of the sun” (21-24). The sun and the moon act dually as icons of nature in a spiritual sense and a scientific sense, for they hold a mystical power that is “an unexplained rule of thumb that somehow explained the world” (Mann 4) and can be mapped out through means of studying astrology. Reminiscent of the zodiac, which, as we know, is based on a combination of the moon phases and the Sun’s movement throughout the year, Yeats incorporates astrological symbolism in his illustration of Irish identity in order to suggest that there is a parallel between the distinct Celtic element that encompasses the Irish race and the 12 signs delineating humanity into essential characteristics. Yeats presents this conviction that the universe is “symbolical of the personal spiritual life” (Mann) in “He wishes his Beloved were Dead” where the lines “But know your hair was bound and wound / About the stars and moon and sun” illuminate the notion that Ireland’s identity is a fundamental constitution of the mind and soul that is traceable through ancient sources. Mann, Neil. “Astrology.” W. B. Yeats and “A Vision”:. Clemson University Digital Press, 2012. Web. 04 Feb. 2014. Mann, Neil, Gibson, Matthew, and Nally, Claire V. “W.B. Yeats’s A Vision Explications and Contexts”. Clemson University Digital Press. 2012. Web. 04 Feb 2014. As discussed today in class, the basic interpretation of “The Song of Wandering Aengus” is straightforward. The narrator, Aengus, represents nationalists seeking to return to an idealized Ireland, as symbolized by the “glimmering girl,” (13). Like traditional Ireland, the girl may or may not exist and, because of this, the narrator will never reach her. However, the embedded mythology complicates this simple cultural nationalist reading. The poem immediately alludes to Celtic folklore when the narrator declares he “went out to the hazel wood” (1) as the hazel tree traditionally represents wisdom. In Irish myth, the concentration of the wisdom and knowledge was believed to reside in the hazelnut. The wisdom could be transferred into a salmon if it ate the hazelnut and a human could then imbibe the wisdom by cooking and eating the salmon. Yeats’ poem alludes to hazel trees, not only by setting the poem in the hazel wood, but also when Aengus fishes with a “hazel wand” (3) and uses what is presumably a hazel berry as bait. Despite these similarities to Celtic myth, Aengus uses a berry, not a hazelnut, when fishing, and ultimately catches “a little silver trout” (8), not a salmon. 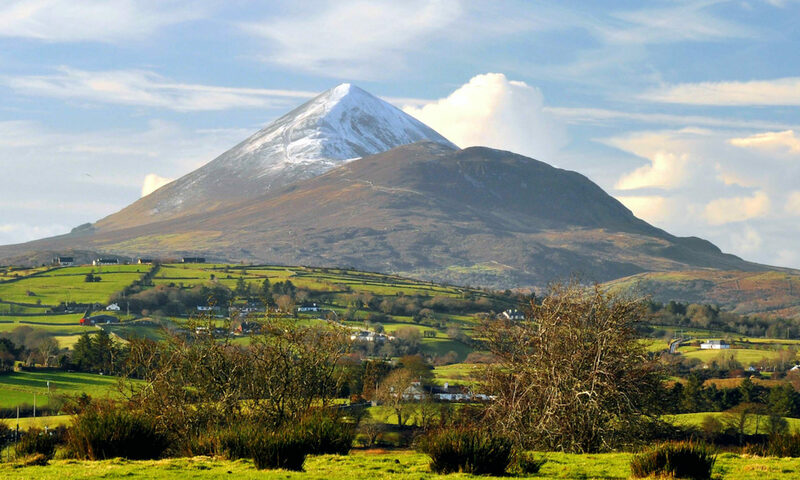 The poem suggests that Aengus is attempting to emulate the myth, yet his misinformation in regards to Irish tradition prevents him from doing so. In fact, instead of manifesting itself as wisdom, the trout becomes a beautiful girl, or an object of desire. In this way, the discrepancies from the myth result in a sort of antithesis of wisdom in that Aengus becomes consumed with the unknown rather than becoming more knowledgeable. Just as Aengus becomes consumed with the mystical and desirable “glimmering girl,” cultural nationalists became enamored with a romanticized version of traditional Ireland. Aengus’ misinformation concerning Celtic mythology becomes his undoing, just as an image of traditional Ireland, romanticized beyond reality, becomes a symbol that cannot be reached. An interesting and notable fact about this play is the fact that it was clearly written by two different people; the first half by Lady Augusta Gregory, and the second by W.B. Yeats. Even without knowing this, there is a clear contrast in the ideals of the two halves of the play, in the distinction between the two obvious. While the play in its entirety is political, there appears to be two different political statements within. Lady Augusta Gregory is very well known for her feminist ideals. She strongly believed that the best way to empower women was by giving them a voice within the home. Gregory, although coming from an upper middle-class background, was familiar with the life-style of the peasants and therefore had a good understanding of how to approach feminism in a way that would be realistic to their way of life. This ideal is seen in the beginning of Cathleen Ni Houlihan when Bridget, the mother and wife of the household, is clearly in charge of what goes on within the household with the manner in which she speaks to her sons, as well as her husband. Gregory gives Bridget an authority that wasn’t necessarily common for women by having her talk back to her husband and by keeping the men in their respective places. Yeats’ contribution to the play is in stark contrast to Gregory’s. As opposed to having a play about feminism in the peasant household, Yeats’ turned the main point to Irish nationalism. Although he did not take away the feminist ideals altogether, he gave women an empty symbol to identify with instead of an empowered woman. 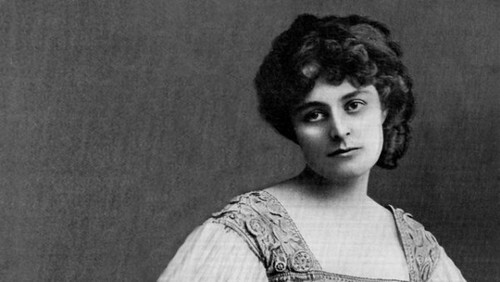 While Cathleen Ni Houlihan, played by feminist Maud Gonne, did, in a sense, represent female empowerment because she was able to, through her stories and her song, convince Michael, the eldest son about to be married, to leave his ordinary life and fight for Ireland. In this way, however, Yeats turned women from powerful voices in the home, to a mere symbol for men to fight. This goes back to the discussion that we had in class today about Yeats’ tendency toward idealizing something that cannot happen or not taking action toward it. The poem that I am specifically thinking of, going along with the same theme of “He Wishes for the Cloths of Heaven” is “He Wishes his Beloved Were Dead.” I found it interesting that he feels that it would be a better life for him if his lover were dead; instead of desiring a life of happiness and practicality that married life brings, his spiritual ideals take over and he would rather not have that happiness. I also think that goes back to the idea that to be all knowing is not the way to happiness. Instead, he’d rather love a life of mystery, following suit with the Celtic tradition. In our class discussion “To Ireland in the Coming Times” and “He wishes for the Cloths of Heaven” both poems by W.B. Yeats were brought up. In these poems one can see that, among other things, Yeats is making a comment on society and it’s values or who it values at the time. “He wishes for the Cloths of Heaven” depicts the gesture of a gentleman laying a coat down for a lady to walk over, and though the speaker is poor he does not have a grand cloth to lay down for the lady, but will lay down his dreams instead. However the manner in which Yeats wrote this poem brings into question his personal feelings about this gesture. The poem is written very formally, but uses the symbol of the speakers dreams to be what is offered at the poems end. In reality, this really isn’t laying down anything at all, symbolically the dreams are immaterial and are just larger ideas. The poem uses poetic language and embraces the uselessness of the gesture the speaker demonstrates, that it is merely a performance of a courting gesture, and that there really is no meaning to the action outside of that realm. In “To Ireland in the Coming Times” Yeats calls into question the methods in which it was believed a revival of the Celtic culture should be brought about. Though Yeats has written this poem in English he believes it is just as useful to reviving the Irish spirit as any efforts from other poets such as “Davis, Mangan, Ferguson” which Yeats mentions by name in the poem itself. By putting these other poets into his work, Yeats is calling readers to see him as someone who is doing the same thing for Ireland, even though it might not appear like it at first glance. After reading this excerpt written in July of 1908 by Maud Gonne to W.B. Y., it seems natural for one to grow intrigued by the “occult-esque” romance between this literary duo. After today’s lecture, I was curious about Maud as a woman in Ireland, who at the time felt like a pioneering feminist—le maître of The Daughters of Ireland, the radical leader of a movement. After close consideration of Yeats’ essay on “The Symbolism of Poetry,” it appeared eerily coincidental that both Maud and Yeats were enamored by “things unseen”—a realm slightly outside of physical experience, a seemingly alluring escape within the mind that permitted one to be overcome by the whimsy of the Druids… yet, it was a world which ultimately lacked concrete progress and measurable advancement. This idea is not only emphasized in Maud’s 1908 letter where she states, “[…] material union is but a pale shadow” compared to the spiritual union she experiences in her dream-state, but also in “The Symbolism of Poetry.” Yeats says, “the laws of art […] can alone bind the imagination.” With this, the reader is left to understand that Yeats’ image of “true” poetry is rooted in the realm of imagination—of semiotics and signifiers working together to convey emotion. In the eyes of a feminist critic, it appears that Yeats’ logic of worshiping symbolic meaning fails when it is ignorantly applied to women, specifically Maud. The idea that Yeats’ wanted to turn women into symbols is evident in Cathleen Ni Houlihan, where Maud appears as the old woman (symbolic of Ireland). The irony of the role seems to supplant Maud’s idealism: she willingly subjects herself to being deduced to an artifice while simultaneously proclaiming herself to be a radical crusader for feminine power and Irish freedom. It’s interesting to note Maud’s interest in championing Irish goddesses from Celtic myths as Idols: Maud willingly puts intellectual investment in a semiotic domain. The empowerment of women, when viewed as being extracted from the Goddesses of lore, falls flat and even base-less. While Maud was an optimistic activist for her cause, her efforts seem to have operated on a faulty axis, where women extracted their strength from “castles in the air”– tales of mythical women like Queen Maeve, Niamh, etc.—without the notion that their strength could push beyond the mythological realm and into something more tangible. While it’s nice to find inspiration from the artistic, traditional sphere of Ireland’s mythology, it appears dangerous and all too radical for the faith of liberation to be propped solely on an elusive and almost untouchable platform. Throughout most of Yeats’ poetry that we’ve already looked at, we see the usage of the rose as a symbol to represent Ireland. In his poem “To the Rose Upon the Rood of Time,” Yeats’ rose could be interpreted as Ireland being crucified upon the cross, probably relating the cross to Britain. The rose is not merely representing Ireland, but also nature and beauty being brought down by the man-made wooden structure that is the rood. Yeats’ writes, “Eternal beauty wandering on her way”, that eternal beauty is the rose and he also personifies it as something feminine. We have discussed Yeats’ admiration of Maude Gonne as the symbol of Irish nationalism; therefore, we see here that Yeats makes her the rose as well as Ireland. Focusing on the word eternal we can gather that the rose is forever pinned upon the rood of time, waiting to be resurrected. Simply by looking at this poem we can figure out that the rose plays a very symbolic role in Yeats’ work. It represents Ireland, but it also is the manifestation of the people of Ireland, beauty, and desire. This desire exists in many forms, desire for the freeing of Ireland, an emotional desire for Maude Gonne, and a desire to return to the Celtic roots of Ireland. The Red Rose possibly Ireland, the proud Rose possibly Maude Gonne, and the sad Rose the sentimentality for the “old” Ireland. All of these things that the rose is a symbol for are threatened and pinned down by the rood. Are there any other thoughts on what the rose could represent in this poem or in any other work we’ve discussed? As we discussed in class today, “To the Rose upon the Rood of Time” is the first poem in Yeats’ collection entitled The Rose, a later collection of Yeats’. Originally, this poem was published along with Gregory and Yeats’ play, “Cathleen ni Houlihan.” The poem as we mentioned centers on the symbol of a rose, which holds magical importance or significance for Yeats. In this post I will be mentioning or discussing further significance of the rose. Yeats use of the rose may also have been a symptom of his fascination or interest in the secret order of the Knights of the Rosy Cross. It also refers to the French movement and symbolizes eternal beauty. However, the rose has been most known as a female symbol for Ireland itself. It stands for the idolized woman whom all men desire, but only the rightful man or king will be able to claim. Yeats borrows this symbol that is often associated with the violent or militant nationalist movement and uses it for his own cultural nationalist motivations. Militant nationalists believed that the red rose only bloomed when men die or spill their blood for the sake of Ireland. His use of this particular symbol in the poem could be interpreted as Yeats proclaiming his loyalty to the nationalist movement. Though, it is important to note that Yeats does try to distance himself from making overly political statements in his work. This aversion seems to have something to do with Yeats not wanting to be limited or defined by his association with one group or another, again as mentioned today in class.